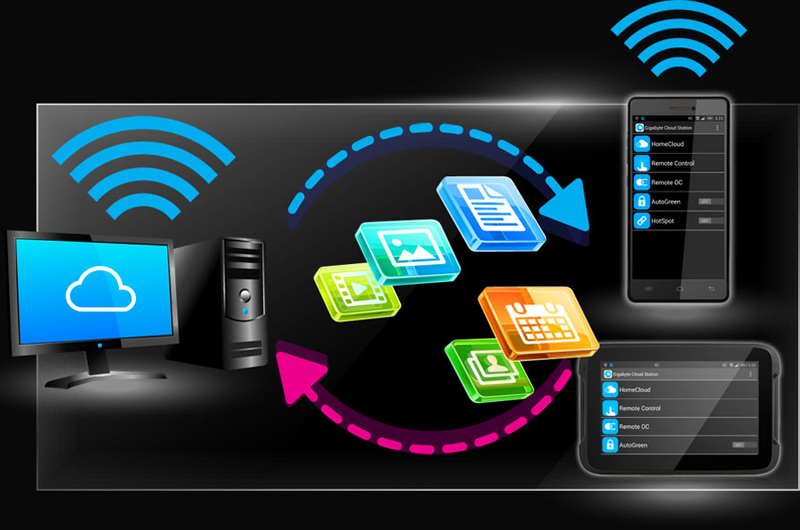 GIGABYTE Cloud Station™ is composed of several GIGABYTE's unique apps that allow your smart phone/tablet devices to communicate, share resources, and control desktop PCs via wireless connection. 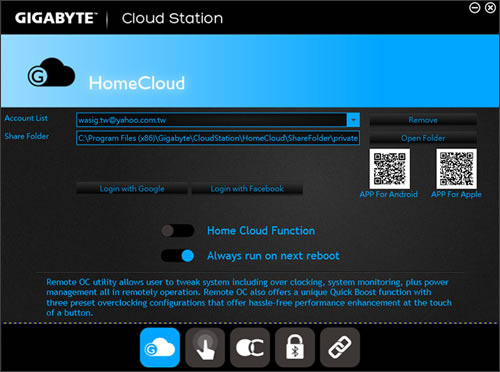 HomeCloud allows users to share the files between your smart phone/tablet device and computer or back up the files from the device to the computer. 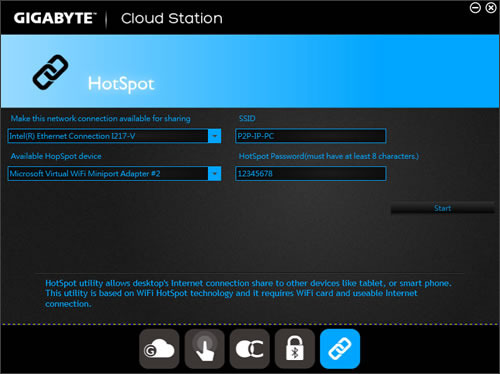 HotSpot turns your computer into a virtual wireless access point and allows you to share your connection with your other wireless devices. 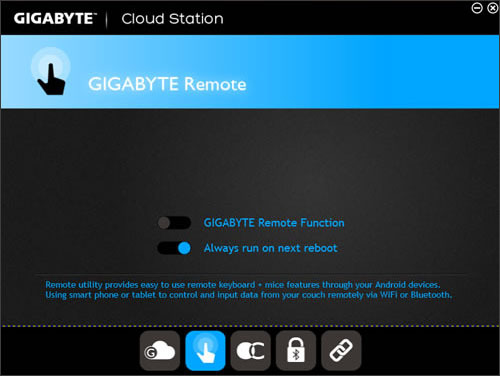 GIGABYTE Remote allows users to remotely control the mouse / keyboard / Windows Media Player on your computer from your smart phone/tablet device. 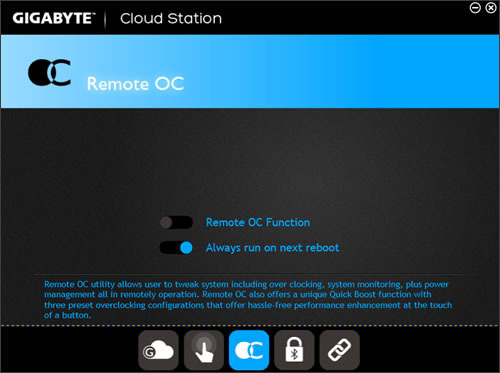 Remote OC allows users to remotely control their desktop PC with a powerful suite of software functions that Include overclocking and system tweaking, system monitoring plus the ability to also remotely power down/reboot the PC when needed. 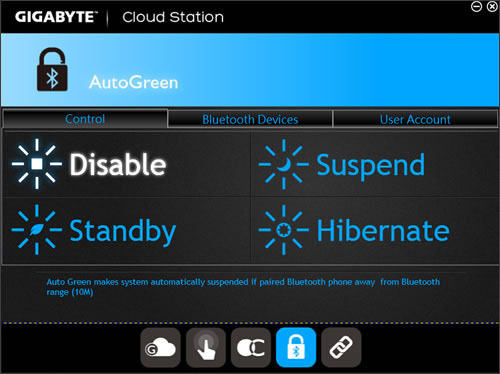 Auto Green is an easy-to-use tool that provides users with simple options to enable system power savings via a Bluetooth-enabled smart phone/tablet device. 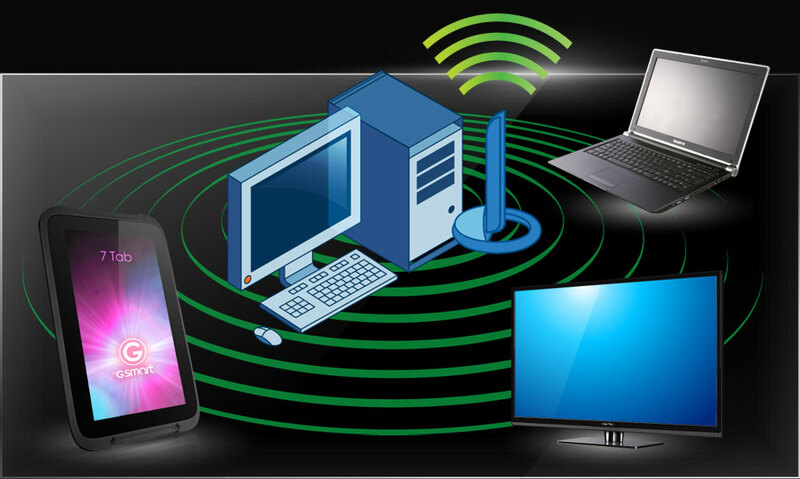 When the device is out of range of the computer's Bluetooth receiver, the system will then enter the specified power saving mode. 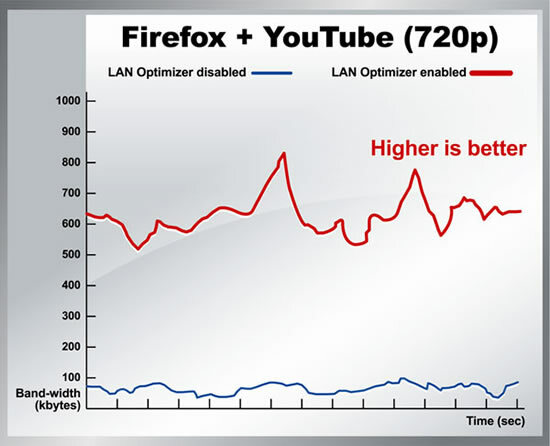 GIGABYTE LAN Optimizer is designed to allow the user to manage different types of network traffic so that data streams such as HD media, web browsing or online gaming can be prioritized, taking precedence over large data downloads that tend to strangle overall network bandwidth. 1. Easy to Use: GIGABYTE LAN Optimizer is designed to make advanced network management as easy as possible with a simple, user friendly graphical interface. 2. 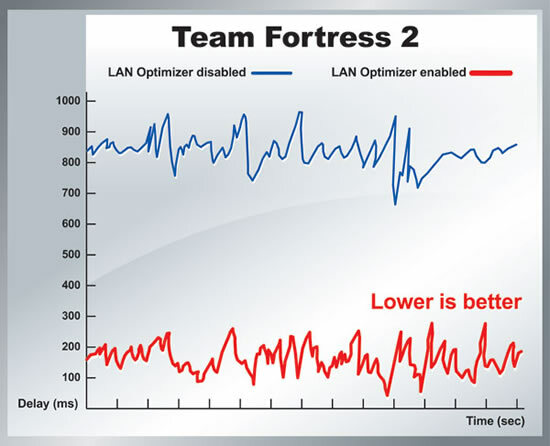 Intelligent Network Environment: GIGABYTE LAN Optimizer offers users intelligent and adaptive network analysis and management for all network traffic types, with automatic prioritization of data streams such as HD media, internet surfing and online games over other traffic such as large data downloads. GIGABYTE motherboards with Intel® GbE LAN feature cFos Speed, a network traffic management application which helps to improve network latency, maintaining low ping times to deliver better responsiveness in a crowded LAN environment. cFos Speed works in a similar way to an OS driver, monitoring network traffic packets at the application layer, allowing optimization and improved network performance for specific applications.